This week in the prayer cycle we remember the congregation and staff of St. Matthew’s-Maryland Community Ministry. Last week for Coffee and Conversation with the Minister. Rev. Sherri invites you to stop by for a time of informal conversation along with some coffee, tea and goodies … no agenda, no expectations, just a time to visit … Wednesday morning, 10 am to 11 am. Next Sunday, April 14: Palm Sunday Potluck Lunch after church. Everyone welcome. Just bring something to share! See Helen La Rue for more info. If you’d like to remember a loved one this Easter by contributing to the Easter flower fund, please send the office the following information. Your name, phone/email address, the name(s) of the person(s) you would like to honour and the amount and method of your donation. Flower fund forms can be found on the narthex or hall tables. The author of our middle hymn this morning is Ruth Duck. Ruth is a pastor of the United Church of Christ, a similar church to our own United Church of Canada. We share full communion- meaning that all of our sacraments, and all of our ordained ministers and diaconal ministers are fully recognized between the two churches. Ten of her hymns appear in Voices United, and a further ten are included in More Voices. Ruth is not only a prolific hymnodist, but also a minister. The more you know! These Days, Daily Devotions for Living by Faith are now available on the Narthex or Hallway tables. Large print also available. Our traditional palm processional kicks off our service. Join in with the choir, children, and the young at heart as they process through the sanctuary waving palm branches, singing your Palm Sunday favourites. We all know the famous Da Vinci painting of the Last Supper. The choir will bring this to life with a new cantata featuring music, and spoken word. Also featured is the work of Robert Burton, one of our resident artists. Robert will paint a new version of the Last Supper, as the story is told. Our Good Friday service will feature movements from “The Confession Stone”, a song cycle by Canadian composer Robert Flemming. Each song is sung from the point of view of a Good Friday character, and is beautifully haunting. Fred Simpson will also present “The Sorrow of Saint John”, and you the congregation will have the opportunity to sing all of the classic Good Friday hymns. congregation. Thank you for your participation in our music program. Whether you sing in the choir, or congregation, or even just listen as our great music inspires your faith life, thank you! $20.00 and are available through the church office (204-256-8792 or office@windsorparkunitedchurch.com). Cash or cheques only. “Grief can be overwhelming when you experience profound loss.” A Grief Support group is being offered at Prairie Spirit United Church, 207 Thompson Drive, on Mondays from 7 to 9 pm, beginning April 1 to May 14, 2019 for 7 sessions. Leading the group will be Fran Ferguson and Janet Banks, please call Janet at 204-888-4248 to register. The group is open to all, and there is no charge (donations welcome). Tuesday, May 7 @ 7 pm – Free Public Lecture by Dr. Diana Butler Bass Award-winning author, speaker, and independent scholar specializing in American religion and culture. Grateful: The Transformative Power of Giving Thanks: Eckhardt Gramatte Hall, University of Winnipeg (515 Portage Ave.). 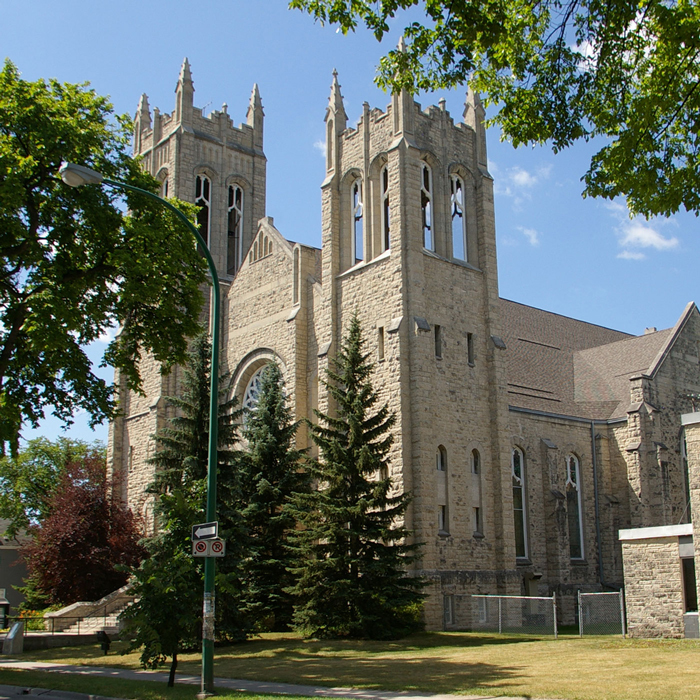 ‘Spring Fling’ concert: Saturday, April 13, 7:00 pm, Fort Garry United Church, 800 Point Road. Come out and enjoy the musical talents of our FGUC Choir, the two New Horizons Bands (Jazz & Intermediate), Winnipeg Male Chorus, & the Winnipeg Mennonite Theatre Company who will do a short skit. It’s a great community of music/theatre; all rehearse here at FGUC. Great listening, free refreshments, prize draws. Get your tickets in advance or at the door $15, children under 12 free. Call the office 204-475-1586 or email fguc@shaw.ca to reserve your tickets! Description: Westminster Church will be hosting Y Not? Inner-City Karate (https://www.facebook.com/ynotkaratewinnipeg/?tn-str=k*F) for the month of April. Tickets are available at the Music main office in Room 319 Taché Hall, 136 Dafoe Road (204.474.9310) or at events doors. Description: <br><a id="ow7981" href="https://www.google.com/url?q=https%3A%2F%2Fwww.themco.ca%2Fconcert%2Fcanzona%2F&sa=D&usd=2&usg=AFQjCNHQYUjG2FZvpXUn731t48tcJrW2bA&quot; target="_blank" __is_owner="true">https://www.themco.ca/concert/canzona/</a><br> <br>Tickets (incl. GST): <br>- $35 for adults, <br>- $33 for seniors and <br>- $15 for students and those under-30 <br> <br>Tickets are available at: <br>- McNally Robinson Booksellers (1120 Grant Avenue) 204-475-0483, <br>- West End Cultural Centre (586 Ellice Avenue) 204-783-6918, <br>- Organic Planet (877 Westminster Ave) 204-772-8771, <br>- MCO’s Ticketline at 204-783-7377 <br>- <a href="http://www.themco.ca&quot; target="_blank">www.themco.ca</a> or <br>- at the door. Description: Our traditional palm processional kicks off our service. Join in with the choir, children, and the young at heart as they process through the sanctuary waving palm branches, sing your Palm Sunday favourites. We all know the famous Da Vinci painting of the Last Supper. The Choir will bring this to life with a new cantata featuring music and spoken word. Also featured is the work of Robert Burton, one of our resident artists. Robert will paint a new version of the Last Supper as the story is told. Description: Our Good Friday service will feature movements from "The Confession Stone", a song cycle by Canadian composer Robert Fleming. Each song is sung from the point of view of a Good Friday character, and is beautifully haunting. Fred Simpson will also present "The Sorrow of St. John", and you the congregation will have the opportunity to sing all of the classic Good Friday hymns.